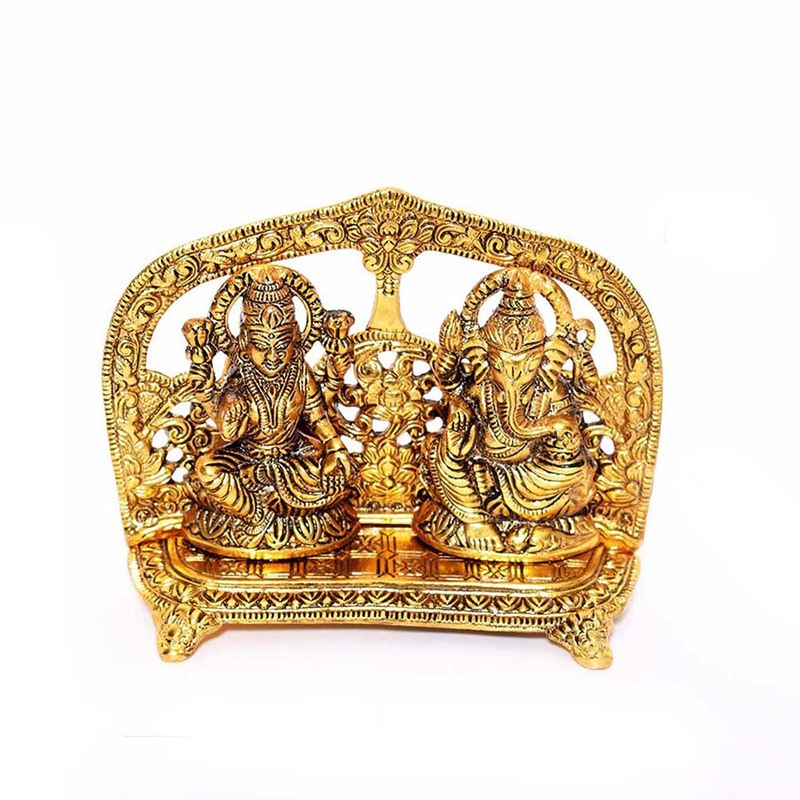 The design of this showpiece is a blend of modern and traditional styles. The contrast of the golden and darker shades, make it very appealing Read More..to the eye, which makes it a perfect addition for any household. 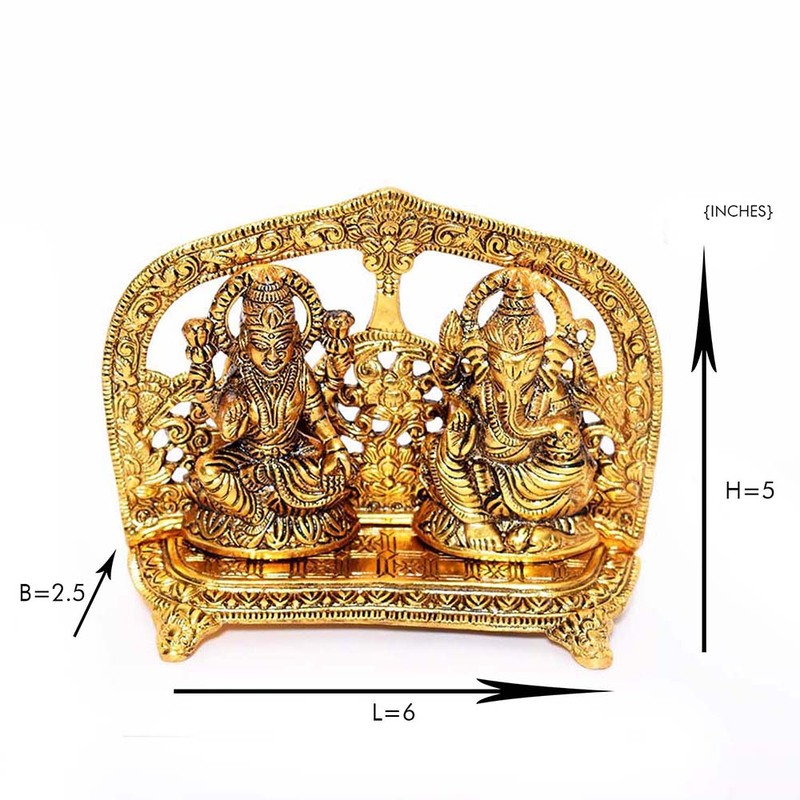 The sinhasan is uniquely crafted to fit both the idols, and still make it compact so as to make it take up as less space as possible. The distinctive design of the backrest along with the rim and base of the sinhasan make for an aesthetic look. Show Less..